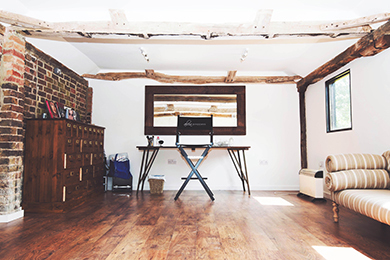 Our make-up school is run from our newly purpose-built Studio in the middle of a working farm close to the A23/M23 in West Sussex, and within easy reach of both Brighton and Gatwick. The building, formerly used to house the farm horse back in the 1800s, is full of period charm. From here we are delighted to offer bespoke makeup lessons, makeup courses and private lessons. Alicia and her team run courses for aspiring make-up artists throughout the year according to demand. These can be tailored to fit your needs. We supply all the equipment from makeup brushes, moisturisers,makeup, airbrushing and hair styling products for you to use whilst your training. With all of our Make-up Artist courses you will receive a starter kit of brushes, Mac, Illamasqua,Rimmel,Nars and Bobbi Brown makeup and a certified completion certificate. We also offer private and group lessons covering all aspects of make-up. We also do 1 day classes in Bridal, TV, film, makeup hints and tips and We offer complimentary refreshments and home made lunch with all of our classes. We offer a professional and personalised makeover service at our West Sussex Studio which includes full hair and make-up and a free bottle Of bubbly then followed by a photo shoot by Professional a with photographer, you then have images that you can treasure forever. We also offer themed photoshoots, Vintage, Boudoir, Head shots, portfolio images, fashion and editorial style shoots. We work with several venues in Sussex that offer great locations for your shoot.